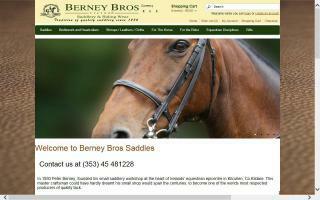 Kildare County, Ireland Horse Directory - O Horse! We love horses, and we like to help you out! Is the work on your stud farm too much? Are you planning a holiday but have no one to look after your horses? Do you need help in your stables because of illness or accident? 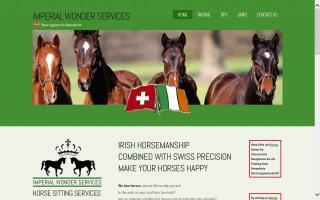 Are you looking for a reliable horsesitting service? We have the solution to ease the pressure – just call or e-mail us and we will try to help you. 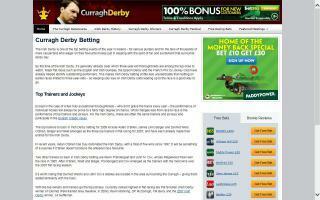 A detailed overview of the Irish Derby Festival and its races. Features information on the events, history, winners, results, travel, and tickets, as well as betting tips and live betting odds. The headquarters of flat racing in Ireland, hosting all five Classic Races and up to thirteen other quality racedays. It is owned and managed by the Irish Turf Club, founded in Kildare in the 1760's to encourage the sport of horse racing in Ireland. Goffs Bloodstock Sales is one the premier bloodstock sales venues in the world. Home of Irish National Hunt Racing.